Water resistant nylon coach’s jacket. Features antique brass eyelets, a 6 snap front closure, elastic cuffs, underarm grommets, and a drawcord closure at the bottom opening. 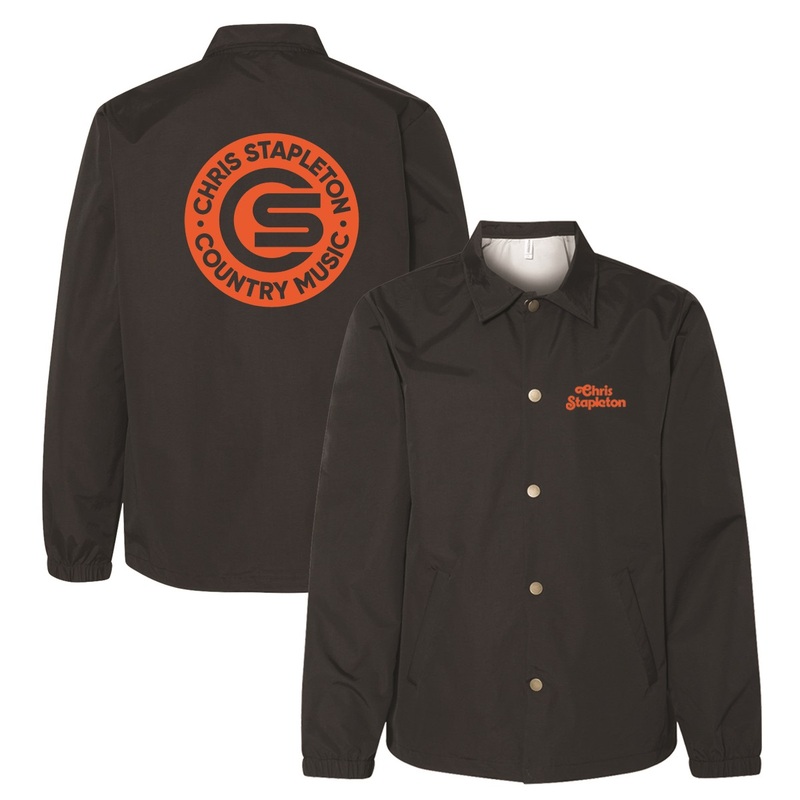 Design features 2 logos designed for Chris Stapleton by Aaron Draplin.